Viknesh Vijayenthiran March 12, 2019 Comment Now! 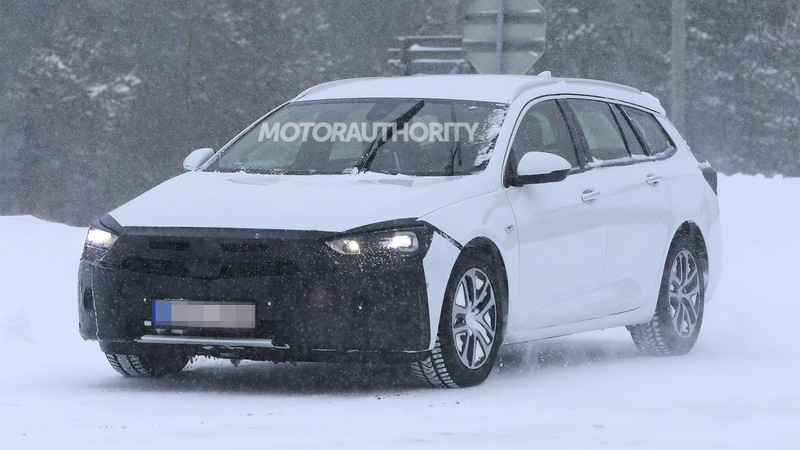 Opel's Insignia lineup is about to be updated, as evidenced by the recent sighting of only partially concealed prototypes testing in the wild. 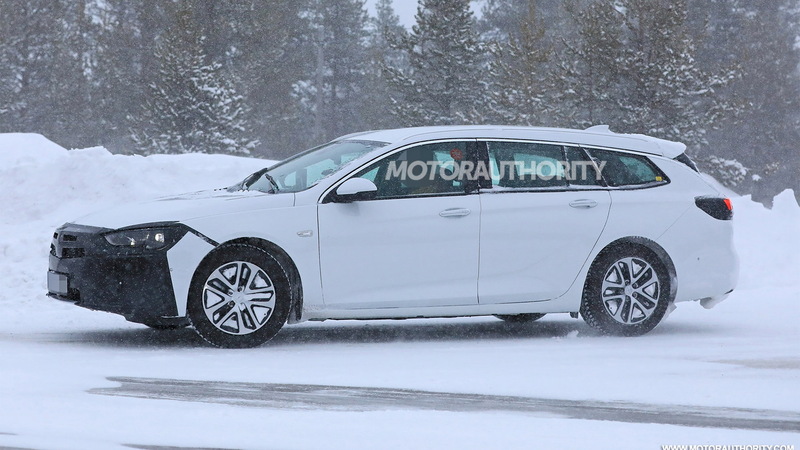 The particular tester is for the Insignia's Sports Tourer wagon body style, which we get here in jacked-up Buick Regal TourX soft-roader form. We also get the regular Insignia Grand Sport as our Buick Regal Sportback, and this version is also out testing in updated form. 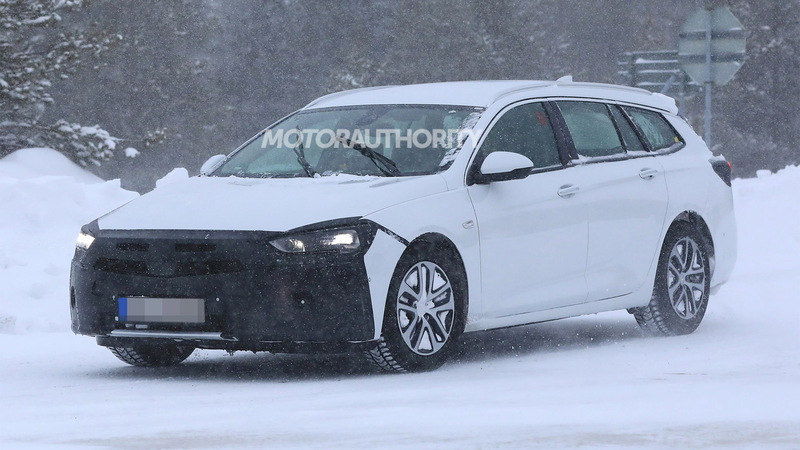 The current Opel Insignia was only introduced in 2017 so to see engineers testing an updated version so soon is unusual. The reason for the quick facelift is to implement a new design language Opel will introduce across its range to mark the brand's revival under the stewardship of new parent company PSA Group. The French automaker bought Opel from General Motors in 2017 and already seen the German brand become profitable. Opel previewed its new design language with the GT X Experimental concept unveiled last August. Key to design is the new face where two strong axes intersect at a prominent logo in the front grille. The vertical axis is emphasized by a central hood crease while the horizontal is emphasized by a chrome strip and wing-shaped daytime running lights. The changes on the prototype are heavily camouflaged but we can already see the new grille poking through. It's possible that we see some of the Insignia's powertrains changed, too. 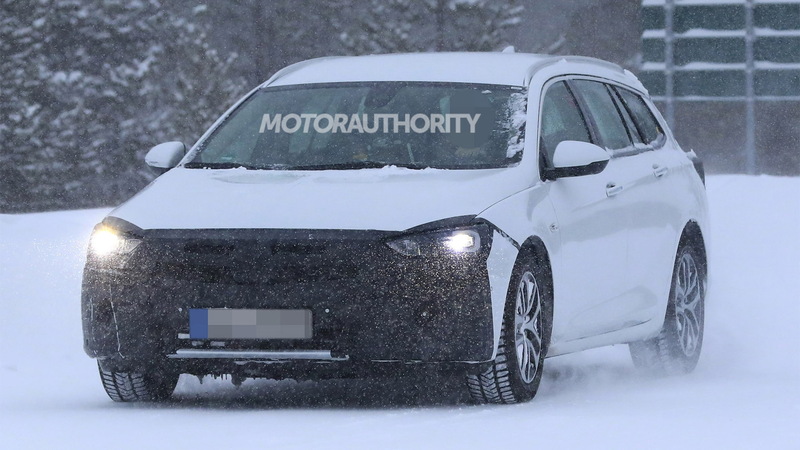 The current powertrains are mostly GM units which PSA Group uses under license, so we could see the French automaker swap in some of its own units. Another reason could be to drop in more efficient units to meet stricter emissions standards coming into force in Europe in 2020. 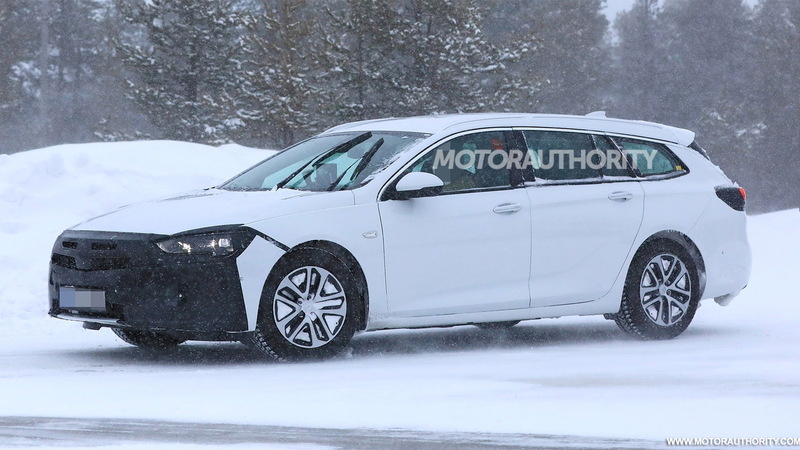 How these changes will affect the Buick Regal lineup isn't clear. Note, it's not just the Insignia that Opel plans to update. The German brand plans to launch eight redesigned or updated models by the end of 2020, including some electric cars. Some we know include an updated Astra and redesigned Corsa and Mokka X models. This updated Insignia should bow late this year or early next. At the same time Opel will drop low-volume sellers like the Adam, Cascada and Karl. We get the Cascada in Buick showrooms and our version could be on its way out too since Opel is the manufacturer, however Buick remains quiet on the matter.